In addition to all the decisions about children, property and finances that must be made, divorcing couples must also consider the tax ramifications. Ignoring tax issues may lead to severe financial distress. As part of Alpha’s divorce mediation program, we carefully identify these tax issues for our clients. We want them to have a true picture of their financial situation after the divorce dust has settled. 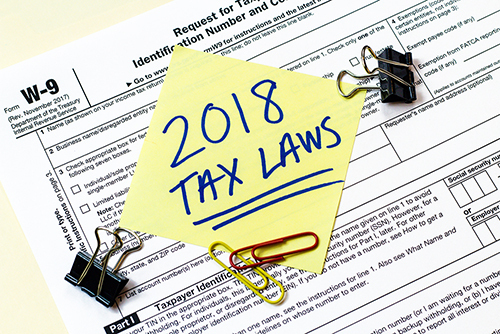 According to Scott Rudolph CPA of Scott Rudolph Tax Strategies, LLC, although all the details aren’t finalized yet, the new tax act includes initial information about two items that will affect couples who divorce in 2018. If your divorce agreement is executed after December 31, 2018 the spouse paying alimony will no longer be able to deduct it. And spouse receiving alimony will not include it as part of their income. Divorce agreements executed before that date can be modified to include the new amendments. There may be specific situations where an amended agreement is appropriate, but the parties should seek legal advice. Beginning in 2018, taxpayers can no longer claim either dependency exemptions or personal exemptions. This may be somewhat offset by the child tax credit which has increased from $1,000 to $2,000 per child. And the refundable portion is increased to $1,400. For children who age out of the child tax credit at 17, the taxpayer can qualify for a new nonrefundable credit of $500. The income phase-out limits — the amount at which the child tax credit begins to decrease – have been increased. Previously, child tax credit began to decrease for joint filers with a $110,000 adjusted gross income. Under the new law, the adjusted gross income is $400,000 for joint filers before triggering a decrease. What’s Next?Alpha’s Program Delivers a Win-Win Tax Plan for Divorcing Couples. Alpha’s neutral accountant-mediators are experienced in working with divorcing couples. They are astute in finding the most favorable solutions that minimize the combined tax liability of both parties. The goal is to ensure the ex-spouses share the benefit instead of paying additional taxes to the IRS. By structuring the tax terms of the settlement agreement to allow for some flexibility, a neutral accountant can review the situation on a yearly basis and adjust accordingly. As the tax reform bill continues to be more fully defined in 2018, Alpha accountant-mediators will continue to bring their expertise and experience to ensure our Alpha clients maximize their tax savings for a better financial future. Look for updates to this important topic as the tax year progresses. With over two decades of experience in the financial industry, Scott Rudolph, CPA is committed to helping individuals and business owners transform the quality of their businesses and lives. He is a CTC, a tax professional with specialized training in proactive tax planning and in finding deductions, credits and developing strategies to help clients pay less tax. He has also worked with hundreds of divorcing couples helping them navigate the intricacies of the tax code to maximize their tax savings. Mr. Rudolph is very passionate about making a positive difference in the lives of his clients and draws upon his own experiences to benefit them. Visit his website for more information.